Home News Fintech Friday #7 – Coinbase Commerce Added! Fintech Friday #7 – Coinbase Commerce Added! 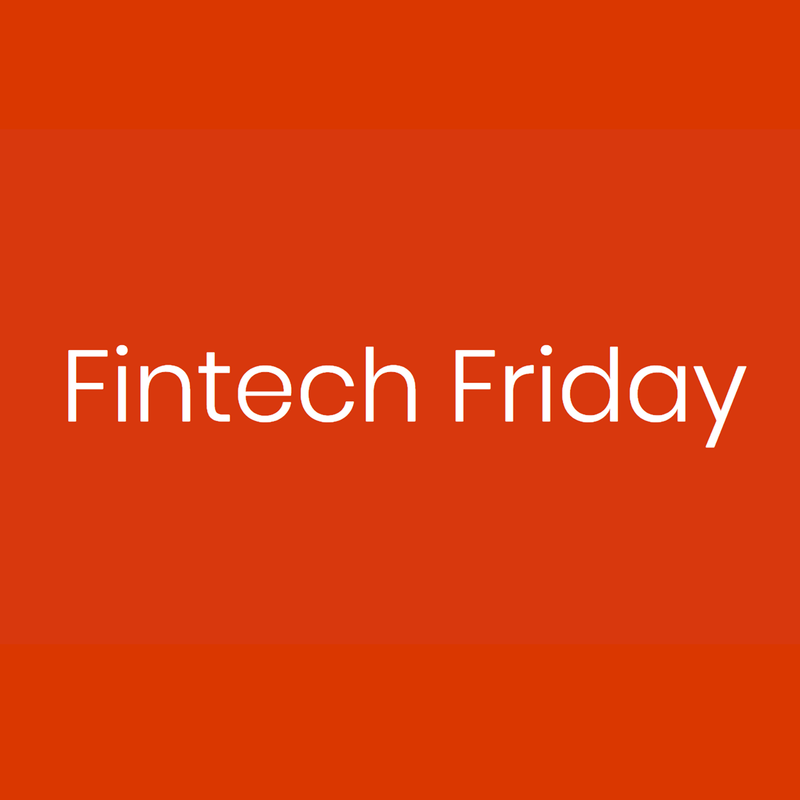 Welcome to the new Fintech Friday! Important announcement! We added Coinbase as a payment method for premium subscriptions to Fintech Friday! Why? Fintech Friday is extremely expensive to publish. Hence, September will be the last FF month if we don’t make it profitable. For that, we need at least 100 premium subs or good sponsors – we’d appreciate you spreading the word in either case if you have contacts who might be interested. If we don’t reach the goal in September, we’ll refund the membership to all subscribers. If we do reach the goal, all who subscribed to FF’s annual plan will be upgraded to lifetime. This issue is brought to you by Coinvendor.io – probably the easiest way to buy cryptocurrencies with hedged value (order now, pay at ordered price when convenient). We joined forces with Altcoin Fantasy – a trading simulation app which lets you try out cryptocurrency trades on real data from exchanges but without any risk of actual investment. What’s more, the best trader in our contest gets 2.5 eth, the second best gets 1.5 eth and the third gets 0.5 eth! More info here! The week started strong with news of New York’s bank Citigroup starting to offer cryptocurrency IOUs to their institutional clients. Citigroup, which earlier this year forbade its clients from using credit cards to purchase cryptocurrency, will be offering DAR – Digital Asset Receipts. DARs are like IOUs for things that aren’t officially traded on the US market, and they’ve been doing this with non-US traded stocks since 1928. It is not known when this is launching or how far along in their implementation they are. At the same time, a big splash was made by the Winklewoss brothers’ exchange Gemini which is starting to offer GUSD – a stablecoin pegged to the dollar. The reason why this is particularly positive is because GUSD is fully audited and approved by USA’s financial regulators, which means it’s a solution much better than those similar to the fake and, frankly, currently illegal Tether. We should be careful, though – precisely because of these regulations and approvals, GUSD can be recalled (taken from someone) or locked in place at any given moment through specific back doors. The US NASEM (National Academies of Sciences, Engineering and Medicine) published a report in which they claim that blockchain is an inadequate solution for voting and elections because of the possibility of infecting the devices people vote from with malware. This is our reply to such a conclusion: voting can only be improved with blockchain, not made worse. The companies Coinbase, Circle, Digital Currency Group, Polychain Capital and Protocol Labs formed a Blockchain Association in the USA with the aim of educating the public about blockchain technology and its use cases. The pacific Republic of Marshall Islands is planning to add a new cryptocurrency called Sovereign as a second legal tender. The IMF – the international money fund – advises them against this move because the country is currently highly dependent on foreign aid due to climate change and weather disasters. Such a move could cut ties with the US banks if adequate money laundering measures are not put in place. In Kenya, Block Bank purchased a stake in Spire Bank – one of Kenya’s biggest banks. This will lead to a fintech partnership which should allow the bank to offer financing options to crypto projects and loans backed by tokens. Spire Bank has 350k users right now and is a big launching pad for Block Bank which wants to implement its DDMS (smart contract settlement system) with Spiro in order to reduce infrastructure costs. Block Bank is currently doing an ICO for tokens which will be backed by loans, so investors will earn dividends on interest paid. In China, the Ministry of Civil Affairs which tracks the work of charitable organizations is planning to replace their current system with the blockchain by 2020 in order to make their finances transparent. This is because of various scandals regarding charity organizations that had been reported on in the past few years. The Hong Kong based Crypto.com (previously known as Monaco – MCO) is launching its crypto debit Visa cards in Singapore through a partnership with Germany’s Wirecard bank. They are planning a later expansion to various other markets. Crypto.com plans to offer exclusively crypto cash-out services for now, but even this part of the cryptocurrency market is highly unexplored, so we’re sure they’ll have a large customer base. Malta’s MSX PLC – Malta Stock Exchange’s fintech and digital asset subsidiary – has signed a Memorandum of Understanding (MOU) with crypto exchange to jointly launch a new security token digital exchange. Because Binance on its own has no legal backing to sell securities, it needs to partner with an established institution doing the same. Lightyear.io, the company in charge of developing the Stellar (XLM) protocol and owned by Jed McCaleb – the once infamous owner of Mt. Gox – has purchased the startup Chain. Chain has been offering private blockchain solutions in the cloud and will continue to offer them through the new company called Interstellar, while the rest of the company will be dealing with global payment solutions, including issuing tokens on the XLM protocol. The Australian New South Wales is putting drivers’ licenses on the blockchain in a digitalization process planned to being this November. This is an excellent adoption mechanism and use case for the blockchain – perpetual availability of authorizable data, without a physical card. The Paris Saint-Germain (PSG) football club is planning to offer fan tokens in 2019 which would not be monetary, but would instead have voting power on issues regarding the club. For examples, fans could use tokens to vote on jersey colors, opponents in friendly matches, even score dates with players if they hold enough tokens. Similarly, the Brasilian Avaí Futebol Clube is launching an ICO with the intention of fundraising 8 to 20 million dollars in value. The sold tokens will serve a similar purpose, plus the ability to exchange them for other cryptocurrencies on crypto exchanges, to purchase tickets and souvenirs with them, etc. In the soap opera Coronation Street Bitcoin got a primetime spot as an episode topic. Such exposure, despite not being useful to the ecosystem, makes the brand much more popular. Apart from the still relevant article on Bitfalls.com about global regulation, Cointelegraph recently published a comprehensive look at regulation in the Middle East. We encourage you to give it a read if that part of the world is of interest to you. There’s a new precedent in the US – federal New York judge Raymond Dearie ruled that USA’s securities laws apply to token sale frauds in a case which sees Maksim Zaslavskiy accused of defrauding investors with two security tokens: one backed by diamonds, the other with real estate. If the jury finds him guilty and sets this precedent, it could have far reaching positive implications for the purge of frauds from the blockchain ecosystem. In Russia, the President’s Special Representative on Digital and Technological advancement has argued that Russia could and maybe should be much stricter in regards to cryptocurrencies and their regulation. He claims that there is a high risk of MMM 2.0, a famous Ponzi scheme from Russia and its catastrophic collapse, and remains optimistic about the technology but cautious about speculative blockchain assets like cryptocurrencies. In China, the censorship of entities that have something to do with non-government-sanctioned cryptocurrency continues. Bitmain’s WeChat account has been blocked, stating: “Following users’ complaints, the platform [WeChat] has reviewed and discovered that this account – without having acquired authorized credentials or licenses – has been publishing and distributing information of relevant businesses it is involved in.” The same happened with the user GoldCoins who published up to date market analysis and news. The explanation sounds like an excuse, considering that WeChat is planning its own cryptocurrency and closed blockchain and might be purging competition in advance. France accepted new ICO regulation rules, writes Cointelegraph. Their Minister of Economy and Finance Bruno le Maire says the AMF (Autorité des marchés financiers) now has the power to give licenses to ICO projects launching in France for the sake of protecting investors and doing due diligence. This certainly ensures that almost all the ICOs launching from France will be legit – at least in intention. The Mexican government made crypto regulations stricter. Added conditions include more KYC and stricter background checks, blocked bank accounts if bank customers try to trade crypto on the same day they open an account, centralized license issuance from the Bank of Mexico, etc. Those who failed to apply for the Sept. 11th deadline must wait until 2019. because the requests open every few months from now on. As usual, we’ll let you decide whether patenting in a system as open as the blockchain is a good or bad thing. This week, only one patent troll appeared – Mastercard. They seem to be trying to patent something that’s oddly similar to the general definition of blockchain. They claim that the current process of global settlement and transactions in unwieldy and slow and argue for bunching transactions up and sending them at once, which is what the blockchain is actually already doing. XMRWallet.com is now available through the Tor network. The onion link for access is xmrwalletdatuxds.onion. This allows users of this anonymous cryptocurrency to use it even more anonymously. The FOAM map is live. It’s like a tokenized Point of Interest model for OpenStreetMap – a layer of POIs that the community curates, stakes FOAM for, and votes on with FOAM tokens in order to keep the map points up to date. The new Bisq Mobile app allows a connection with the node running on the desktop computer which lets you monitor your trades even as you leave your computer at home (a computer needs to remain on to run Bisq). Dapp Capitulation is a list of crypto wallets of different ICO projects and the amount of ether they still have. Ovo izdanje Kriptonita donosi vam Coinvendor.io – najlakši način za hedganu kupnju kriptovaluta: naručite kada želite, platite kada možete po originalno naručenoj cijeni. As technology evolves, even old giants like SWIFT are becoming aware of the threat they’re facing and are urging cooperation of banks. Let’s see what’s new on the tech front this week! The developers of the Ethereum protocol are discussing a change of mining algorithm to ProgPow, which would make it easier to mine on GPUs and harder on ASICs. This is because of the planned October update to the Ethereum protocol which will see the block reward reduced from 3 to 2 eth per block, and due to the new ASIC development making it more worthwhile to mine with ASICs than with GPUs. This new algorithms would optimize mining for GPUs, saving the GPU miners who started leaving in droves, especially as ether prices plummeted. Loom, the company building the Zombie Battleground card game on the blockchain published a proposal for ERC721x tokens – token batches for sending many tokens and cards at once. At the same time, the team from Horizon had a similar idea. If you’re considering building a game on the blockchain, consider these models for significant gas savings. The Relayed Transaction model we described in a previous edition of FintechFriday has evolved into two standards through MetaTx. We recommend diving deep into this content for a full implementation of self-executable transactions sent from etherless accounts (i.e. a big UX barrier has been broken – users don’t need ether for gas any more). ERC1400 has been recommended as a standard for security tokens, in order to make them compatible with the SEC’s demands. Personally, I feel that adapting new and free technology to the rules of the old ecosystem which we’re trying to escape isn’t very productive, and that the freedom and decentralization of tokens and other digital assets on the blockchain is a feature, not a bug. ERC1404 is a proposed standard for restricted tokens in that it adds two new functions to the ERC20 standard. These functions are there to check whether a transfer of tokens is allowed, and to find out why not if not. This would allow a dramatic simplification of UX in various interfaces and much easier error output. Idea for off-chain issuable tokens in Ethereum. Grid+ Lattice1 has a new post about simplifying the process of using their device in everyday, transparent, blockchain-powered identity operations using generalized (non cryptocurrency related) cryptographic signatures. A technical read, but well worth the time considering how much they’re about to change the ecosystem’s usability. Where should information in the Web3 world live? Kauri.io investigates options. At the same time at the EthBerlin hackathon, the Pinata Overlay team developed a solution for decentralized funding of IPFS storage, removing a huge hurdle for dapps aiming for true decentralization. Gorli is a proposal for a new Ethereum testnet which would make Geth and Parity compatible when testing smart contracts on the Proof of Authority consensus. Using Clone Factory will let you redeploy your smart contracts at a fraction of the original price. Is renting parts of your computer via the blockchain more profitable than mining? The crypto company Cofound.it is closing down and refunding its investors as best it can. Due to market conditions, they failed to achieve (or find?) their goal and are doing what they think is best for their investors. What is a Sparse Merkle Tree? That’s it for this week! Remember to spread the word! Previous articleBitfalls + Altcoin Fantasy Bring You a Private Crypto Trading Contest – Win up to 5 Ether!